Rent a luxury stretched limousines for weddings, minibuses and luxury cars with driver, wedding services. Wedding day is one of the most important days in life of two people and this day is only your day – every couple deserves to enjoy it without stress and worries. It is not only a beautiful experience, but it is also a day that is composed of many small events and needs that we can arrange for you. We offer rental of luxury cars with driver for the bride, groom, wedding guests. 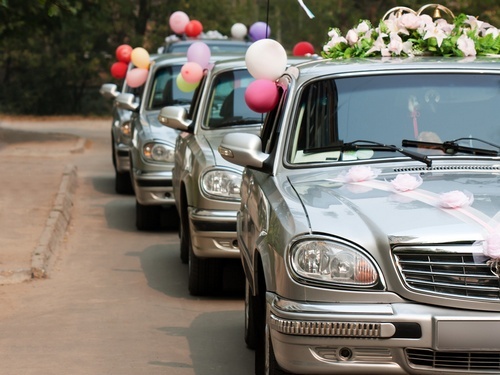 Leave behind the worries about parking, itinerary, decorating of cars to us and enjoy your wedding day. At all times our professionally trained driver in formal dress, who is trained to ride in a wedding convoy, will take care of you. In case you are interested in providing comprehensive wedding services, we co-operate with a partner wedding agency.